The BMW i8, with its futuristic interiors and exteriors and an advanced hybrid drivetrain system, has got another great makeover with customized Vossen brand VPS-205 concave wheels. The VPS-305 wheels feature a multi-spoke arrangement with the front wheels measuring 22×9.5 inches and the rear wheels measuring 22×10.5 inches. The wheels are given a gloss-black finish and when coupled with the red Vossen symbol fit perfectly with the Crystal white exterior. The i8 has been lowered too, for an improved stance and better looks. These extra details have been done by 503 Motoring, the detailing company. Although initially manufactured in limited numbers, in the last few months, the BMW i8, which is being produced at Leipzig plant, witnessed increased sales and deliveries. BMW’s smaller i3 (a hybrid sports model) and the i8 are quite popular for their performance, style, design and fuel economy. 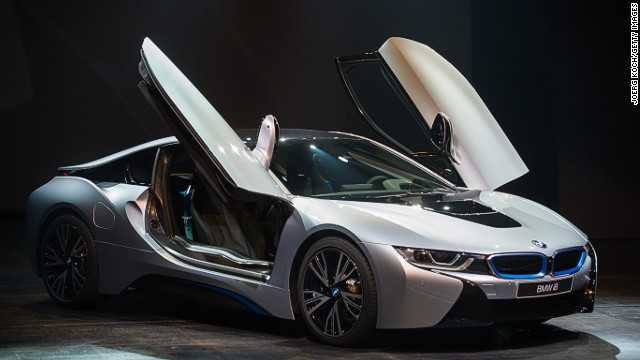 The i8 features a hybrid plug-in model comprising a 3-cylinder turbocharged BMW TwinPower Turbo petrol unit combined with the BMW eDrive technology and an electric drivetrain system. The styling cues, futuristic lines and hybrid technology give a futuristic appeal to the BMW i8. 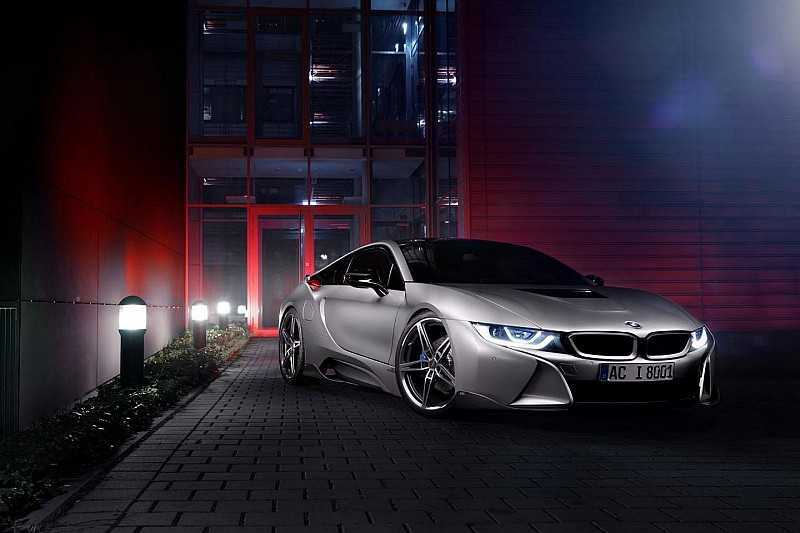 The i8 delivers 362 horsepower and a peak torque of 570Nm and can reach 0-100 km/h in 4.4 seconds. The i8 has been reviewed as BMW’s most advanced car till date featuring the latest design and technological updates and yet is seen as an environmental star. The hybrid technology works in such a way that the gasoline engine delivers power to the rear wheels and the electric motor drives the front wheels. The i8’s design and technology does not seem to have any existing rivals; yet experts believe that it could be compared to alternate-fuel and electric cars like the Chevrolet Volt, Cadillac ELR, Tesla X or S and Porsche 918 Spider.